A gyoza box from Rainbo Food. 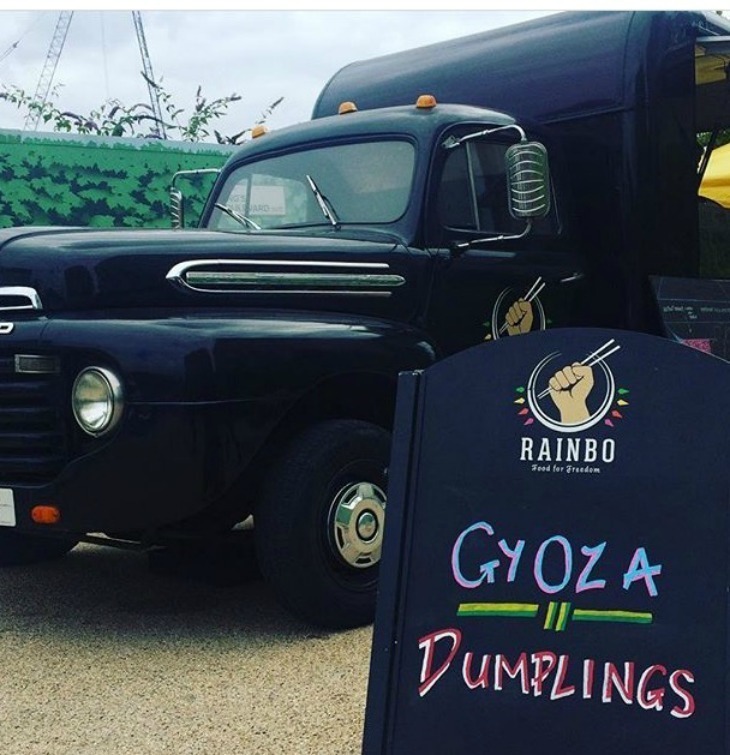 We love Rainbo food for their flavour packed gyoza and nourishing salads, so we asked them to tell us a little more about themselves and their food. Well, it depends on when you want to go. Like a lot of great traders, they move around, so keep an eye on their Twitter feed for details. 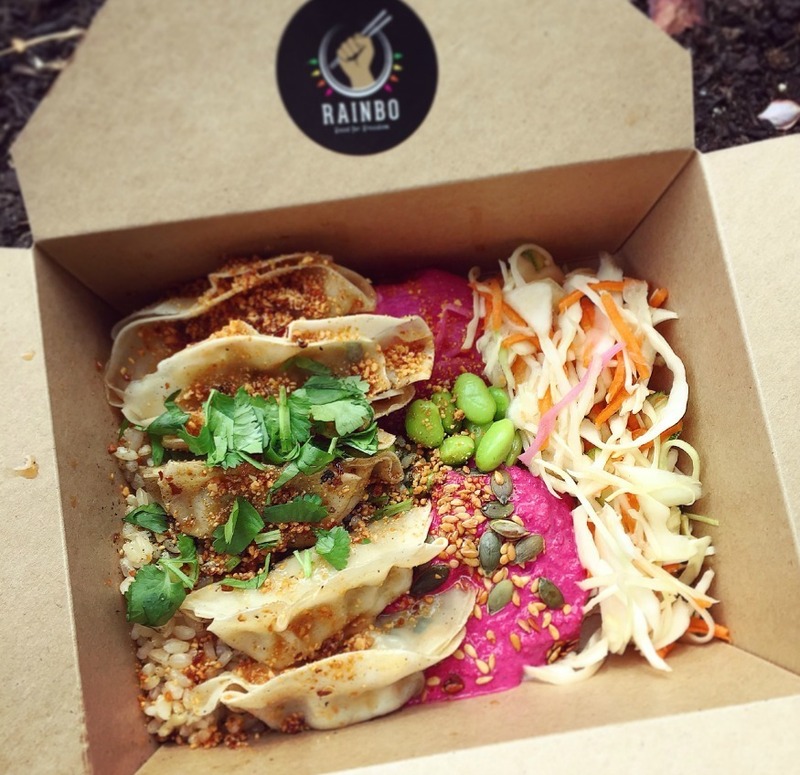 Rainbo traders James and Jamie tell us, "Rainbo has been on the London street food scene for nearly five years but when the original owners (husband and wife Ben and Xochi) were looking to move on earlier this year I decided it was time to quit the desk job and, alongside best friend Jamie, take over the Rainbo reigns! "I used to work as a financial adviser and Jamie as an insurance broker but neither of us were happy and after years of talking about making our passion our job and working in food, we finally took the plunge this year. "Jamie and I are beyond obsessed when it comes to gyoza (and all Asian dim sum really). 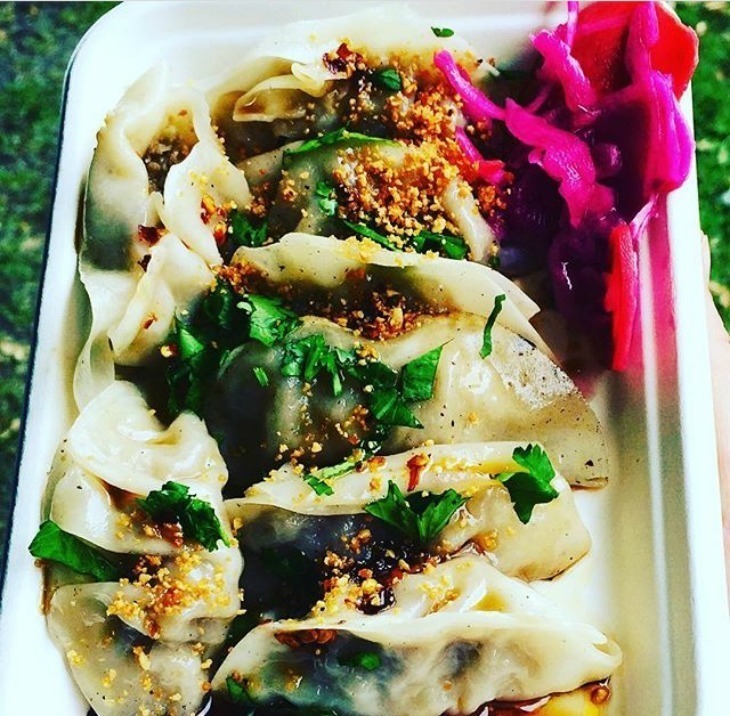 We started our own dumpling society a few years ago that meets once a month to sample a different dumpling haunt in London and also hosts supper clubs and Chinese New Year dumpling parties. "I even have a tattoo of an otter eating a gyoza (they are my other obsession but that's for another time I think!). People often ask if I'm bored of gyoza now that I eat them basically every day, but half the reason we decided to this was for exactly that reason! The world would be a happier place if everyone ate at least one gyoza a day!" "We're best known for our Japanese gyoza and Asian salad boxes but are currently in the process of expanding our menu for our winter residencies and permanent Camden location. We like to focus on making street food that is not only delicious but also healthy and vibrant, with our best seller at our lunchtime markets being our Rainbo box — six or eight gyoza (different gyoza available each day) with short grain brown rice, pickles, Asian slaw, edamame beans, beetroot humous, omega seeds and peanut crumb. 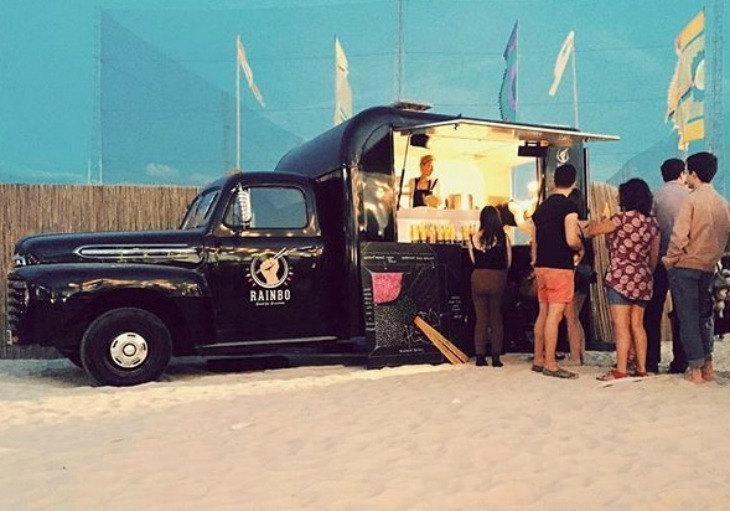 "At our residencies, we extend out our menu from what is on offer in the truck with other dishes such as chicken yakitori and our famous RainboJapanese scotch eggs. At our Camden we will be expanding the menu further, with Japanese soul food in various shapes, sizes and flavours." "In our opinion the only thing better that a gyoza is a gyoza served with a cold beer or cocktail. Eventually, we plan to open our own Izakaya style bar in London, serving delicious Japanese small plates and cocktails until the early hours."